E-Cig marketed to be used for inhaling “Vaping “vitamins. “Vitamin-enhanced vapor is all the rage in the loosely regulated e-cig industry. Inhalation is also an inefficient way to ingest vitamins, says John Newsam, a chemist with Tioga Research and a member of the American Chemical Society (ACS), because the particles must be very small in order to travel deep into the lungs where there is close contact with blood vessels. That means even less than the measly 1 IU of Vitamin A in a VitaCig will actually make it into your body. The little bit that does is more likely to enter through the mucous membranes in your mouth rather than through the lungs, contrary to claims on VitaCig’s website.Furthermore, vitamins can change their chemical composition when heated, which could cause them to lose their potency or degrade into something harmful, says Portland State University professor and ACS member James Pankow. Although the company’s website is splashed with a giant banner that says “Vitamin Electronic Cigarette” and much of the marketing materials discuss vitamins, CEO Mark Linkhorst says the “vita” does not stand for “vitamin.” “Vita is ‘life’ in Latin,” he tells The Verge. 1. Remember who you once were. I imagine it is hard to remember what it was like to be a teenager, especially when that day and age has long since passed. Remember what kinds of things you struggled with, how you handled them and what you would do differently. Share your teenage experience with your son or daughter so he or she can learn from your triumphs and failures. 2. Don’t make your child earn your trust. There is nothing more frustrating than having to update your mum or dad every two minutes on your location and status. If you make an effort to show your child trust from the start, he or she won’t lie about whereabouts, friends, grades, etc. and in turn, you will have nothing to worry about. It will actually be a win-win situation for both of you because your child won’t have to make up lies and you won’t have to waste time investigating for the truth. Needless to say, some kids will end up losing parents’ trust by taking advantage of it. If that turns out to be the case with your child, make him or her earn it back. There is nothing worse than telling your parents something and having them freak out and jump to unnecessary conclusions before you even get a chance to explain yourself. If your daughter tells you she failed her pre-calc quiz, don’t immediately start yelling. Let her tell you what happened: why she did so poorly, how she can improve it or what percentage of her overall grade it will count for. If you start yelling, your child will start to keep things from you, which is the last thing you want. The amount of firsts enclosed between the ages of 13 and 18 is what makes being a teenager so special. Let your child have firsts and make mistakes, and only make a fuss if he or she is in danger or endangering others. Remember there is a huge difference between experimenting and making habits out of something unhealthy — teach your child that. 5. Challenge your child daily with household responsibilities. Weirdly enough, one of the few critiques I have for my own parents’ parenting during my teenage years revolves around the lack of responsibilities that were given to me in our household. I didn’t necessarily want to do laundry, load and unload the dishwasher, or cook dinner in high school — no one does. But now that I am about to leave for college, I wish I had gotten used to cleaning up after myself more. Force your kids to get off the couch and help you; they may hate you for it in the moment, but it will establish long-term independence that they’ll look back and thank you for. 6. Don’t be a dream-killer. Let your child dream; encourage him or her to actually pursue dreams. If your kid shows up with a really crazy opportunity, a leap of faith in a direction you’ve never explored, don’t place your own comfort-zone limitations on him or her. Instead, be happy to see him or her try something you personally wouldn’t. After all, it’s not your life to live. 7. You’re the parent, not the best friend. You are not 16, so by no means should you be playing a role of one of your child’s friends from school. A lot of my friends in high school had parents who played the friend card. I knew a girl who shared alcohol with her parents. As you can imagine, their relationship was dysfunctional, and her mum was so used to being a friend that she couldn’t create consequences when her daughter made really poor decisions. Being more of a friend to your kid than a parent takes away all of your authority and creates an unhealthy ideal of nurturing for your child. 8. Accept and love your child. I’ve been told that having a kid is the only time in your life that you’ll find yourself loving something or someone, unconditionally. That being said, let your child know every day how much you love him or her. For me, my parents’ acceptance of who I am has the most profound effect out of all the ways that they choose to show their love. Such absolute acceptance allowed me to develop into a person I find to be genuine, original and happy. In reality, abusing prescription stimulants, or “study drugs,” actually does not improve teens’ GPA, can be very harmful to their health, and doesn’t teach grit or resilience. Can “Overparenting” Lead Kids to Abuse “Study Drugs”? Parents want what’s best for their kids. But sometimes getting too involved may start out as a good intention, leading to kids not being able to learn how to problem solve and manage their own time — skills necessary for success in school and life. adolescents are especially at risk from the harms caused by nicotine exposure. Ongoing use of nicotine can harm brain development during adolescence, a critical time when the brain is still “under construction.” Animal research has found that even in small doses, nicotine exposure in adolescence causes long-lasting changes in brain development. This could have negative implications in young people for learning, memory, attention. Nicotine in e-cigarettes and other tobacco products can also prime the adolescent brain for addiction to not only tobacco, but also substances like illicit drugs. The “wax” is used with vaporizers or e-cigarettes or heated in a glass bong. Users prefer using e-cigarettes or vaporizers because it is smokeless, odorless, and easy to hide. A marijuana concentrate is a powerful substance that may look like honey or butter. It is made by extracting THC from marijuana. THC (tetrahydrocannabinol) is the psychoactive chemical in marijuana that produces the “high” feeling users seek. Some marijuana concentrates contain 40 to 80 percent THC. Regular marijuana contains THC levels of 15 to 20%. Butane Hash Oil (BHO), Honey Oil, Wax, 710, THC Extractions, Budder, Dabs. One popular extraction method uses butane, a highly flammable solvent, which is put through an extraction tube filed with finely ground marijuana. The residue is a mixture of very concentrated THC and butane. The butane evaporates leaving a sticky liquid known as “wax” or “dab.” This extraction method is dangerous because butane is a very explosive substance. Law enforcement personnel report explosions in houses, apartment buildings and other locations where persons attempted the extraction. Persons with serious burns have gone to hospitals. Marijuana concentrates have a much higher level of THC. The effects of using may be more severe, both psychologically and physically. Often, students and adults talk about using drugs to self-medicate their feelings and/or mental illness. Alcohol, marijuana or other drugs can be abused to self-medicate the symptoms of depression or anxiety. Unfortunately, substance abuse causes side effects and in the long run worsens the very symptoms they initially numbed or relieved. When you have both a mental health issue and a substance abuse problem such as bipolar disorder, anxiety or depression, it is called a dual diagnosis or co-occurring disorder. Dealing with drug addiction, alcoholism or substance abuse is never easy, and it’s even more difficult when you’re also struggling with mental health problems, but there are treatments that can help. With proper treatment, support, and self-help strategies, you can overcome a dual diagnosis and reclaim your life. It is important to understanding the link between mental health and substance abuse. In the article “We’re Related: Substance Abuse and Mental Health,” the authors go into further detail about the link. In a dual diagnosis, both the mental health issue and the drug or alcohol addiction have their own unique symptoms that may get in the way of your ability to function, handle life’s difficulties, and relate to others. To make the situation more complicated, the co-occurring disorders also interact and affect each other. When a mental health problem goes untreated, the substance abuse problem usually gets worse as well. When the alcohol or drug abuse increases, mental health problems usually increase, too. A question that often is asked is: What comes first? The substance abuse or mental health problem? 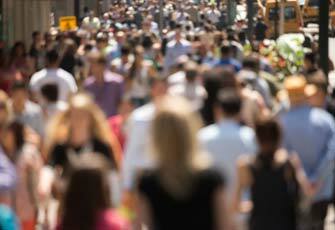 Addiction is common in people with mental health problems. Although substance abuse and mental health disorders such as depression and anxiety are closely linked, one does not directly cause the other. Some interesting facts by the National Alliance on Mental Illness state that; alcohol and drug abuse can make symptoms of a mental health problem worse. Substance abuse may sharply increase symptoms of mental illness or trigger new symptoms. Alcohol and drug abuse also interact with medications such as antidepressants, anti-anxiety pills, and mood stabilizers, making them less effective. Thirty-seven percent of alcohol abusers and 53 percent of drug users also have at least one serious mental health illness. It can be difficult to diagnose a substance abuse problem and a co-occurring mental health disorder. It takes time to tease out what might be a mental health disorder and what might be an alcohol or drug problem. Denial complicates the issue and is common in substance abuse. It’s hard to admit how dependent you are on alcohol or drugs or how much they negatively affect your life. Denial frequently occurs in mental disorders as well. The symptoms of depression or anxiety can be frightening, so you may ignore them and hope they go away. Or you may be ashamed or afraid of being viewed as weak if you admit the problem. The best treatment for co-occurring disorders is an integrated approach, where both the substance abuse problem and the mental disorder are treated simultaneously. Recovering from co-occurring disorders takes time, commitment, and courage. It may take months or even years but people with substance abuse and mental health problems can and do get better. Carmen Morrow is School District 423’s chemical health intervention specialist. Sources for this column include “National Alliance on Mental Illness”, “Journal of the American Medical Association”, “We’re Related: Substance Abuse and Mental Health” Authors: Joanna Saisan, MSW., Melinda Smith, MA., and Jeanne Segal, Ph.D, October, 2016. You, Your Kids & School is a twice-month-column from School District 423. There are many reasons why teens abuse illegal or prescription drugs. Past studies used to point to “having fun” as the number-one reason teens used drugs, but more recent studies show that teens are using drugs to solve problems. This is important for parents to understand because most parents severely underestimate the impact of stress on their teens. By understanding what motivates your teen to use drugs, you can hopefully step in help them find better ways to cope with their problems. 2) Social Acceptance and/or Low Self-Esteem: The study indicated that 65 percent of teens say they use drugs to “feel cool.” Teens’ self-worth depends on the approval of others, and their desire for social acceptance can drive them to engage in destructive behaviors, even if they know it could harm them. The same study found that 65 percent of teens use drugs to “feel better about themselves.” Teens who have low self-esteem are more likely to seek acceptance from the wrong crowd by using drugs. 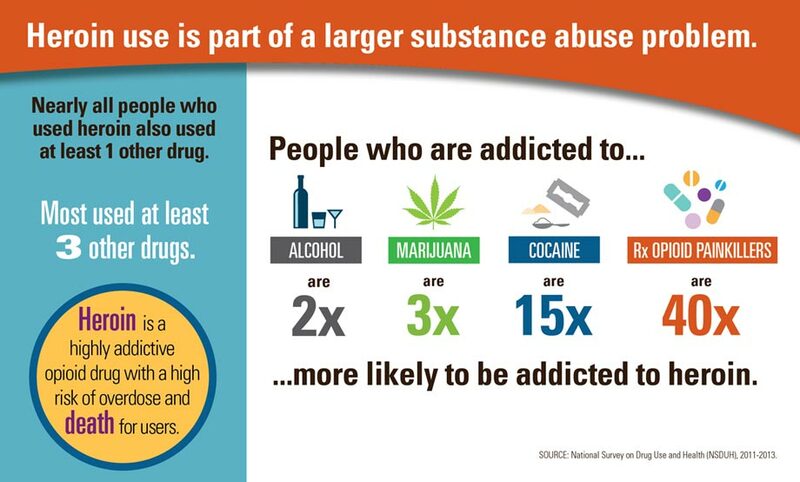 4) Misinformation: Studies show that teens are widely misinformed about the dangers of drugs. 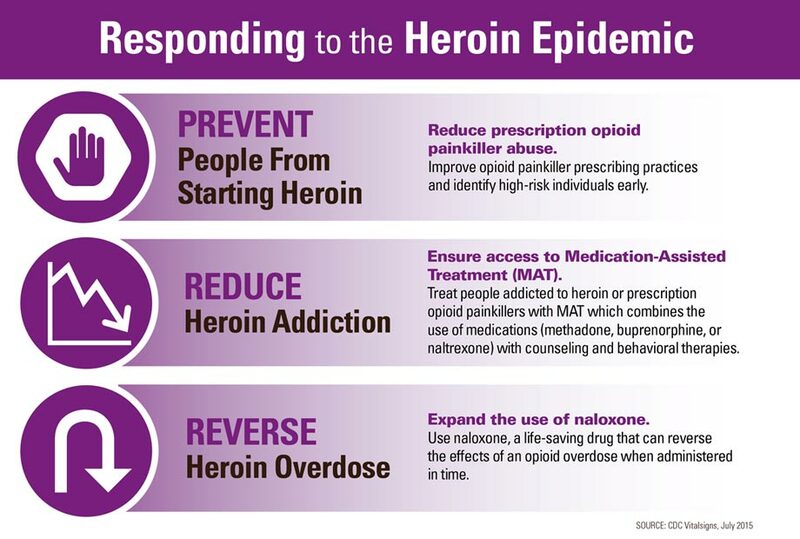 Did you know that 40 percent of teens don’t perceive any major risk with trying heroin once or twice? While abuse of serious drugs is steadily declining among teens, their intentional abuse of prescription and over-the-counter medications remains a serious concern. Many teens, 41 percent to be exact, mistakenly believe that it’s safer to abuse a prescription drug than it is to use illegal drugs. Nearly 1 in 5 teens have already abused a prescription medication or prescription painkiller in order to get high or deal with stress. If you know a teen who is abusing drugs, don’t wait to intervene. The sooner your teen gets help for drug abuse, the more likely they’ll be able to avoid the long-lasting consequences. Fortunately, there are many different teen drug rehabs to choose from. The most effective teen drug rehab, however, may be a residential treatment program. Here your teen will have access to 24/7 supervision and care, detoxification, dual diagnosis treatment and a variety of holistic treatments based on their individual needs. Talk to a medical doctor or a Chemical Heath Counselor about your teen’s symptoms and determine which type of drug abuse treatment is best for your teen. Robo tripping is the act of abusing over-the-counter cough and cold medicines that contain dextromethorphan (DXM). It has become a growing and potentially life-threatening trend among America’s youth in recent years. DXM is a synthetic drug that produces a hallucinogenic high when consumed in large amounts. It is present in more than 125 medications, including well-known brands. Does DXM have any slang terms? Yes. Slang terms for the drug include Robo, Skittles, Dex and Tussin. How many teens Robo trip? According to The Partnership for a Drug-Free America, nearly 10 percent of American teens have admitted to Robo tripping. Yes. In fact, children as young as age nine have admitted to Robo tripping. Why do so many teens and teens Robo trip? Teens and teens Robo trip often because medications containing DXM are legal, readily available (without a prescription) and inexpensive. Why are medications containing DXM available without a prescription? These medications are available without a prescription because DXM is a safe and effective cough suppressant when used properly. Does Robo tripping have any side effects? Can parents monitor for signs that their children are Robo tripping? What should parents do if their children become high on DXM? How can parents help protect their children from DXM abuse? Prescription Painkillers: Should Your Teenager Ever Take Them? Let’s be clear. The majority of people who take a prescription painkiller do not end up addicted to either heroin or the painkiller. But a perplexing part of the problem is there is no real way to predict who will become addicted and who will not. 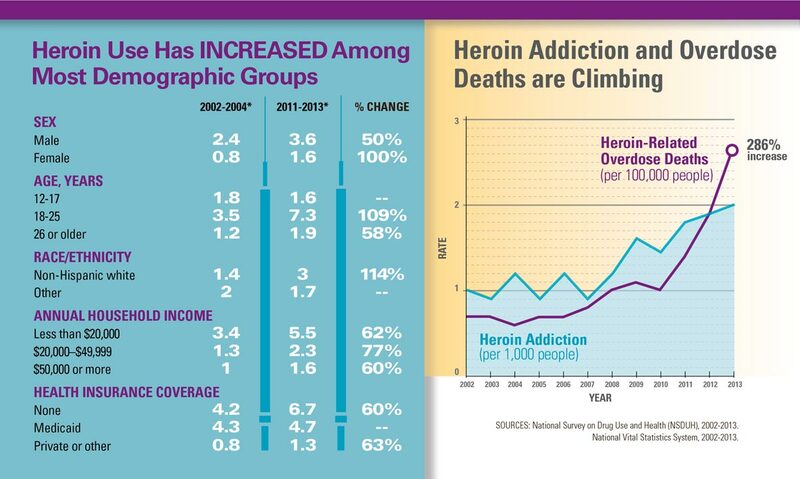 And the current heroin crisis in the United States has been fueled by over-prescribing of opioid painkillers over the past decade or so. Click here for a very timely article as the opiate overdose epidemic rages across our nation. What is Take It To The Box? The Take It To The Box program promotes the safe use, safe storage; in particular the safe disposal of unneeded medication. The McLeod County community and MEADA are serious about preventing medication misuse, abuse and environmentally safe disposal of unneeded medication. Safe medication disposal helps reduce such risks. How should I get my medicine ready to drop off in The Box? Medicine should be left in their original container with the label. If the medicine is a prescription, use a marker to cross off your name. Leave all other information on the container. What kinds of medicine can go into The Box? Any prescription and over-the-counter medicine can be placed in The Box. What about syringes, needles or “sharps”? NO! These items can NOT go in The Box. Talk to your pharmacist about syringe disposal options and products that are available. Household chemicals like glues, paints and other inhalants can be used to get high. Can these chemicals go in The Box? No, You are encouraged to store these kinds of chemicals in a safe, out-of-reach location. Can “inhalers” be put in The Box? Yes. Inhalers used with various medicines can be dropped in The Box for disposal. What do I do with medicine that has expired? Expired medicines are accepted in The Box. I know someone who has a large amount of unneeded medication but is unable to bring it in for disposal. Can I drop off someone else’s medication? Yes. If needed, friends or family members may bring medication to The Box for someone else. Please call if you have a question about this. What happens to the medicine dropped into The Box? The Box will be emptied as needed. Contents are stored in a secured locations. Periodically, law enforcement and a chemist from a qualified disposal company will sort the medication. Medicines will then be taken to a licensed site to be incinerated. Who pays for the medication disposal? Take It To The Box is a very cost effective program. Funding has come from: local law enforcement agencies, McLeod County Solid Waste, a Drug Free Communities grant and a grant from the United Way. There is NO charge to individuals when medications are dropped off at Take It To The Box locations. Take It To The Box (TITTB) Committee Members have received a lot of questions regarding sharps and needle disposal. These items are NOT allowed in the drop boxes. The link below has a variety of suggested ways to dispose of needles and sharps.